We use different types of products every day. We use products while at home; like appliances, toys, and adhesives. We also use products at work; like machines and tools. Each year, thousands of people sustain serious illness or injuries as the result of products that are dangerous or defective. If you have become the victim of a dangerous or defective product, you probably have questions and need answers. 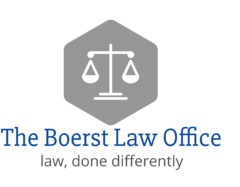 At The Boerst Law Office, we have been assisting victims of dangerous and defective products for many, many years. 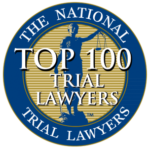 We’ve helped clients receive verdicts and settlements they needed for the injuries and damages they suffered. Contact us and speak with an experienced attorney about your product liability case. We are available 24 hours a day, 7 days a week. Call us today. All initial consultations are free. There is no cost to you whatsoever. There is no obligation to hire our firm. If you do decide to hire us, there will be no upfront fees or monthly retainers. We represent clients injured from dangerous or defective products on a contingency fee basis. That means you have no out-of-pocket costs. It also means we only get paid if we get you results. If we don’t deliver you results, you owe us nothing. Someone injured by a dangerous or defective product may be entitled to receive compensation for medical expenses, lost wages, loss of physical capacity, pain , suffering and mental anguish. Ohio product liability law makes those individuals and companies who make products available for the public to use responsible for the injuries these products may cause. Manufacturers and vendors owe a duty of care to consumers to protect them from preventable harm. Product liability may even be found when a chemical company produces a chemical which seeps into a community water supply and contaminates it. Failure to warn: A negligent manufacturer or negligent distributor may be liable for the failure to warn of a dangerous device. This includes improper labels and warnings. Design defect: A defect in the design means that the entire product line was dangerous or defective. A design defect may lead to an entire recall of the product. Manufacture defect: A defect in the manufacture of a product indicates that a design was proper, but there was a defect in the individual product that was purchased. Harmful ingredients: An ingredient in a product may be harmful to your health. When you have been injured by a dangerous or defective product, our experience with Ohio product liability cases will help. 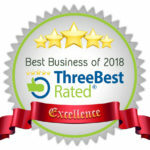 Please contact us for a free consultation by calling us at (419) 283-6401 or email us at bruce@legaltoledo.com.